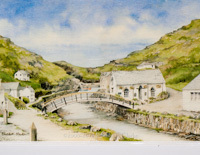 Elisabeth has made a speciality of Cornish watercolours, with lovely paintings of the best loved places in Cornwall. Available in mounted and signed prints based on A6, A5 and A4 sizes at brilliant prices, these are beautifully produced by Elisabeth and her husband David from their home in Penzance. 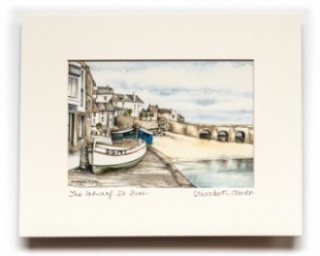 These are sold all over Cornwall but if you missed them, here is Elisabeth's full collection on-line. We show the A6 price list which includes every scene. Call us for availability of the A5 and A4 sizes, which are not available for every image. Click here for contact details.